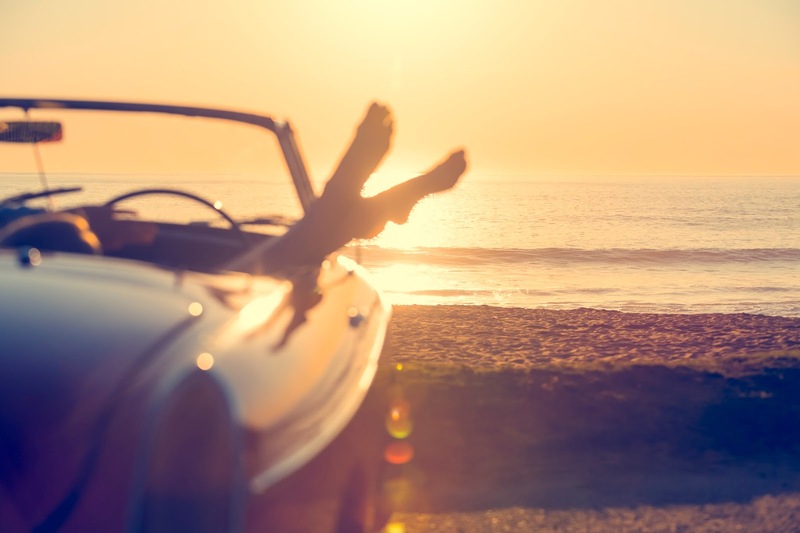 Summer is in full swing and for convertible owners these cherished months are filled with long winding drives across beautifully scenic highways. Convertibles provide an extra level of excitement to summer drives and vacations, but can wreak havoc on the material and entire mechanism. It’s inevitable that as your convertible sees more use, it will require additional care. By following our simple tips for summer upkeep, you’ll be able to keep your convertible soft top looking great and in perfect working condition. If you know anything about us, you know we are big advocates of keeping your convertible soft tops clean. Whether it’s summer or winter, never let leaves or debris including snow, tree sap or bird droppings accumulate on your soft top and always use a fabric protectant to avoid cracks and damage from exposure. Leather or vinyl, you’ll want to preserve the material’s natural oils and elasticity, which will help keep your soft top looking like new through years of use. Inspect your convertible soft top’s fasteners, hinges, motor and frame for any signs of compromise on a regular basis. Use a flashlight when inspecting these parts to ensure you’re able to see every possible flaw. If your soft top has any broken or poorly functioning parts, this could cause strain on the motor or cause damage to other working parts. Replacing the damaged parts is fast and easy with affordable options available through our website. We cannot stress enough the benefits of using a car cover for your convertible. A car cover acts as a portable carport for your convertible that protects it from all types of weather and debris with minimal expense. Car covers are made from durable, scratch-resistant materials and are extremely compact for storage and travel purposes. Car covers are especially useful for vacations to the beach or areas where inclement weather is to be expected. While you may want to wait to replace your convertible soft top by applying a few more patches and band-aids, it’s important to go ahead and replace your soft time when the time comes. Delaying may cause seeping moisture to damage and prematurely age the entire interior of the car. As previously mentioned, waiting may also cause damage to the motor or the convertible soft-top mounting points. A new soft top will preserve the interior of your car and look great while breathing new life into your convertible. While summer is the best time of year for enjoying your convertible, it can also be the harshest. Excessive heat can weaken convertible top fabrics and environments including the beach or desert can cause drying and cracking. Maintaining your convertible soft top’s entire system will ensure you keep your convertible looking great while protecting the interior for years to come. What are your tips for keeping soft tops looking their best during the summer months? Share your thoughts in the comments below. We’d love to hear your thoughts! Convertible Soft Top Tips for Summer is really a developed plan for the readers. All the readers will explain the bestessay idea to other readers. I am so much sure about the quality of this blog.